The chicken and egg dilemma presented in a recent study by Transport & Environment (T&E) is whether the acceptance of electric vehicles (EVs) will expand from more charging sites to drive sales or from sales of more EVs. The answer is important because it defines, to some extent, where funding is focused, including on how many charging sites are necessary. Perhaps most opinion would have argued that it seems like common sense that you have to have more public charging sites before the public will feel comfortable in switching from fossil-fuel cars to EVs. That sense may be common but it is not necessarily accurate. For the T&E study finds that public chargers are used by the public for only 5% of charging events. Instead, the public relies on charging their cars at home and/or at work where faster chargers are generally available, in contrast to the typically slower kerbside sites. There is a difference on this issue between western/northern Europe and southern/central/eastern Europe. 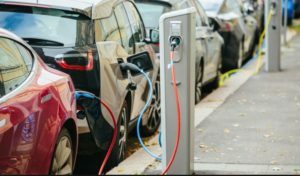 In western and northern Europe, the evidence indicates that there are, and will be, sufficient charging sites to provide service for the current and planned number of EVs on the road. While the Commission recommends that each charging point be able to service 10 EVs, at present there are only 5 EVs on the road for each pubic charging point. So there is plenty of room to handle current levels of EVs. Based on estimated increases in both EVs and chargers there will be 220,000 chargers by 2020 and a ratio of 10:1 EVs per charging point, within the Commission’s target. Along EU highways there is also abundant capacity of chargers. By 2020 there will be 1,000 ultra-fast (150-350 kW) chargers that will provide replenishing an EV for an additional 400 km of range in 15 minutes. More than 2,500 fast chargers (50 kW) are available today and this number will double by 2020. That capacity will equal a charging point every 34 km along the strategic TEN-T (Trans-European Transport) Core Network. The study notes that fast charging along highways is the only charging type that has increased, e.g., in Norway, and that is likely due to improved coverage, faster charging networks, and increased driving ranges. Moreover, since it is recommended that drivers take 10-15 minute breaks every two hours of driving (typically over major roadways), having sites that make it possible to recharge the EV in that time will considerably reduce range anxiety. The study concludes that all this capacity will support the early EV market. Moreover, the study finds that the need for public investment in public charging sites will gradually reduce between 2020 and 2025 and that the cumulative cost of public charging at €12 billion is a small fraction of the EU spend of €100bn every year in transport infrastructures. The situation in the rest of Europe lags behind western/northern Europe by 5-10 years. While the supply of EV chargers in these regions is much lower than in western/northern Europe, so are the number of EVs sold, so the balance between the two does not undermine acceptance of EVs. There is some hope for improvement because the Commission budget for 2020-27 commits at least 60% of the EU cross-borer infrastructure fund on schemes to fight climate change, including €30bn for transport in the Connecting Europe Facility. Moreover, the study notes that as EV technology becomes cheaper, in part due to the advances made possible by deployment in western/northern Europe, e-mobility will increase in southern/central/eastern Europe. Recharging in cities presents particular challenges. By 2050 about 75% of all people will live in urban areas, and cities remain a major destination point for travels. Therefore, most public recharging infrastructure will be found in cities, and on highways leading to these cities. It is expected that cities will rely on a mixture of slow, fast and ultra-fast charging points, while highways will rely on fast and ultra-fast chargers. Since 95% of charging is done at home or work, cities present particular challenges. 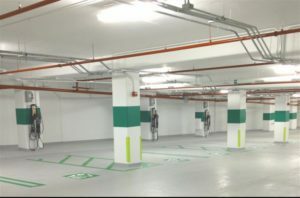 Home often means a multi-user building where occupants would have to have access to chargers in their own or a commercial garage, which may or may not have the space to house sufficient chargers, which likely would have to be subject to some schedule of users. Charging at work may also present problems as many city dwellers (and hopefully more and more) will commute to work by public transport, or walk or cycle, so their EV will stay home, wherever that might be. The increase in shared rides, and shared ownership of EVs, especially in urban areas, will also impact the use and accessibility of charging points in the near future. One factor relieving some of the pressure on recharging in cities is that EVs are expanding their real-world ranges, and are expected to soon reach 400 km. One of the consequences is that the average urban driver typically will need to recharge only once a week. The study presents solid evidence that the availability of public chargers is not determinative of broader support for purchase of EVs. At the same time, it is acknowledged that if there were a shortage of public chargers that would most likely have a psychological effect on reducing demand for EVs, even though most users would not rely on these public chargers once they bought the EV. Such a phenomenon should not be discounted because switching to EVs, and other forms of renewable energy, is as much about behavior as technology.